The Bad Seeds make a mellow but menacing return. Nick Cave may not be a barrel of laughs, but there’s always been more to the man than fire and brimstone. For instance, on the front of the 1986 covers set Kicking Against the Pricks, he’s posed as a sort of perverse, spiky-haired lounge singer. That side has always been present, his knack for the cheeky or theatrical regularly colliding with his love of the confrontational. 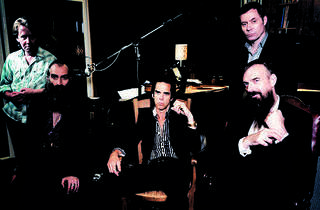 (It’s no coincidence that Grinderman, Cave’s in-your-face supplement to his longtime work with the Bad Seeds, marked both his most aggressive turn in years and his silliest.) So while the somber Push the Sky Away, the first Bad Seeds disc since 2008, and the first minus linchpin Mick Harvey, may not be the Seeds return we wanted, it isn’t particularly out of character either. Cave sets the stage with the electro-murmur of “We No Who U R,” with wild-child chief foil Warren Ellis relegated to loops and other moody contributions underscoring the album’s often lovely but resolutely mellow flow. Anyone expecting a cathartic explosion while listening to the menacing start of “Water’s Edge” or “We Real Cool” will undoubtedly be disappointed by their steady, minimalist, sometimes string-laden restraint. Yet there’s understated power and beauty in songs such as “Wide Lovely Eyes,” “Jubilee Street” and the title track, which unfold slowly and demand a similar sense of patience from us. It’s a midnight listen all but designed for darkness, and while the long shadow it casts is occasionally hard to see, you can still sense it stretching deep. 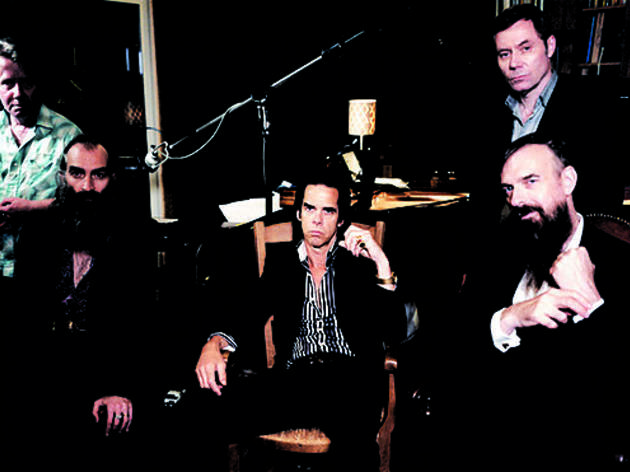 Nick Cave & The Bad Seeds play the Chicago Theatre Monday 1.